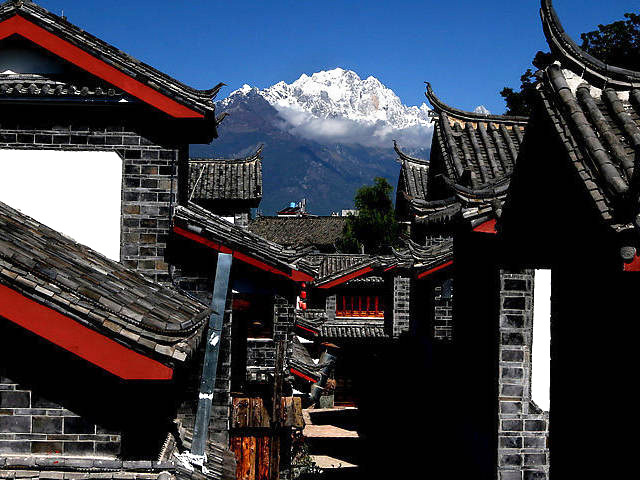 Yuhu Village is on the outskirts of Lijiang Basin at the foot of Jade Dragon Snow Mountain. The houses were made of a unique stone called monkey head by Naxi people. The stone is comprised of a substance between stone and mud. With the reflection of the stone on the snow mountain, houses made of monkey head look even more natural and beautiful. There is a Yuhe Lake beside the village. Water in this lake comes from the melted snow in the mountains. The holy water from this holy mountain of the Naxi contributes to the mysterious aura surrounding this small village. This lovely atmosphere is why Joseph Rock chose this place to live when he came in 1922. He lived in Lijiang for 27 years. In the village one can still see the houses he lived in and many of the daily tools he used. 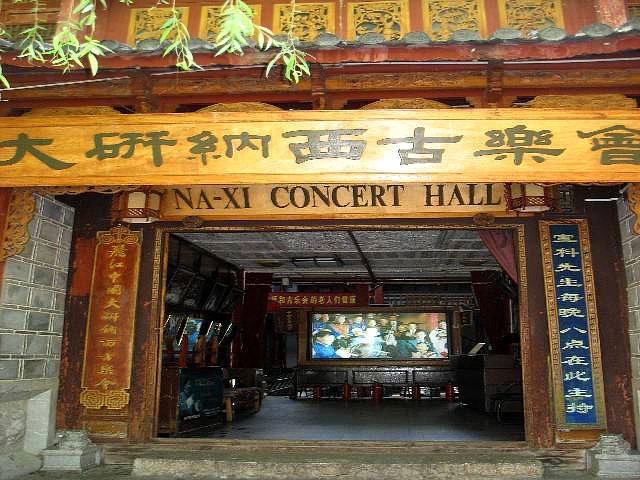 From 1924, a large number of his photos and articles depicting Lijiang have been published in National Geographic. 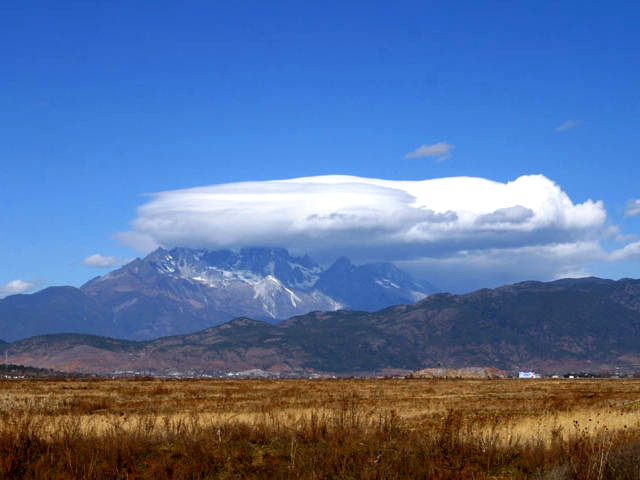 His work was instrumental in introducing the wonderful scenery of West Yunnan to people in the West. 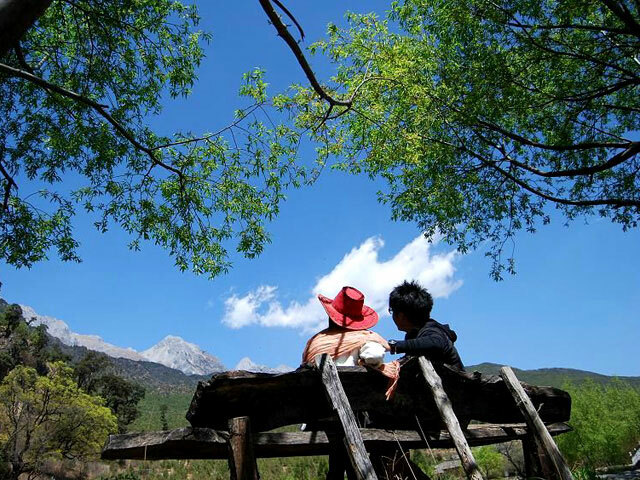 Rock loved Lijiang very much. He wrote to his friends just before his death in 1962 that he'd rather die in the flowers of Jade Dragon Snow Mountain in Lijiang than lie alive on a sickbed in Hawaii.